Danielle Clark is the former district official who was fired in 2016 without explanation and just 11 days after the San Ysidro school board honored her for hard work and dedication. Two years later, the San Ysidro school board approves a $107,000 payment to settle her wrongful termination suit. Clark was the district’s special education director, but only for a short time period (less than five months). After she was abruptly let go from her position, she sued the district for wrongful termination. Danielle Clark’s termination occurred under Julio Fonseca, the former Superintendent. After his resignation last year, a state audit was conducted. The audit revealed that Fonseca’s top deputy was overpaid $324,000 (including life insurance and vacation days). The district will be undergoing an additional state audit looking at past contracts and vendor payments in connection to the school’s construction projects. The $107,000 payment to Clark was approved by the school board as part of their regular monthly meeting. Clark last heard from the board 3-4 weeks previously and was actually expecting a settlement of at least $150,000. She was not aware that any payment had been formally approved until she was contacted by the media. As of yet, she has not received any payment from the media. Very few details were made public regarding the wrongful termination suit and the negotiations leading to the agreement intended to resolve the lawsuit. The line item on the board’s meeting agenda actually made no mention of Danielle Clark, her wrongful termination suit, or even her former job or department. Clark’s settlement was listed with her name amid 140 other listed expenses on a document that was one of 200 pages of material and backup material for the monthly board meeting. The vote at the meeting was 3-0. Two of the board members were absent (Marcos Diaz and Antonio Martinez). The board gave approval for the district’s attorneys to settle the case in May 2018. If you need to talk to an experienced California employment law attorney because you have been wrongfully terminated from your job, please get in touch with Blumenthal Nordrehaug Bhowmik De Blouw LLP. A former Home Depot employee was awarded $175,500 by a California state court jury this month. The jury found that Home Depot, the retail giant, did not provide necessary and reasonable accommodations for the employee’s disability due to breast cancer surgery and varicose veins. The jury also found that the employee was not protected from retaliation after she reported improper sales practices that were in use at the store location where she was employed. The jury sided with the plaintiff, Patricia Tillotson, when they found in her favor but awarded her far less than the originally sought after $3.3 million. Tillotson was awarded $75,500 in past economic damages and $100,000 in future economic damages. The jury declined to award Tillotson damages for past or future emotional distress. The plaintiff filed suit against Home Depot in 2015 after she was fired for supposedly providing a customer with inaccurate markdowns. She maintains that she was actually terminated because of her age, her disability, and for acting as a whistleblower. When she was fired, Tillotson was 58 years old. She was the oldest employee in her Home Depot department. The retail giant argued that Tillotson’s whole department was fired due to an investigation that found the employees in that department were providing unauthorized markdowns to Home Depot customers. They specifically claim that her termination was not due to her medical conditions and that her whistleblower complaints had nothing to do with the decision to end her employment. The jury found that Tillotson’s age and disability were not the foundation for Home Depot’s decision to terminate her employment. But they did find that Home Depot’s failure to participate in good faith efforts to accommodate Tillotson’s disability that left her having difficulty lifting objects and working in a position where standing for extended periods would not be necessary. The jurors found that the company’s failure to make these efforts resulted in harm. If you have been denied reasonable accommodations for your disability in the workplace or if you have been wrongfully terminated, please get in touch with one of the experienced California employment law attorneys at Blumenthal Nordrehaug Bhowmik De Blouw LLP. Lynda Resnick is the 10th richest self-made woman in the United States. She is a pioneering entrepreneur, a prominent philanthropist, and an inspiration to women everywhere. She is also the co-owner of The Wonderful company and they’re currenting being accused of pregnancy discrimination. Despite the fact that she is a spokeswoman for women in the workplace fighting against stereotypes and hostile work cultures that are becoming less and less acceptable since the social change reflected by the #metoo movement in recent years, five former employees claim that Resnick is not a great example of glass-ceiling breakers. One of the five former employees filed a pregnancy discrimination and wrongful termination lawsuit against the company. The case is currently in private arbitration and comes only five years after the company resolved a lawsuit that stemmed from similar claims. The other four employees describe the company’s work culture as a hostile work environment particularly for pregnant women or working parents, but none of the four have sued or filed any complaints against the company. The Wonderful Company denies the claims being made by the five former employees. Arbitration on the case started on November 12th. The employee alleging pregnancy discrimination and wrongful termination was the former marketing director at The Wonderful Company. Fearful of retribution from future employers, the woman asked that her name be kept out of the press. She claims she was fired in 2016 during her maternity leave. She had planned 16 weeks of maternity leave to care for her newborn (as provided by California’s Family Rights Act or CFRA), but she was fired 12 weeks to the day after she started her maternity leave. The federal FMLA or Family and Medical Leave Act covers 12 weeks of unpaid job-protected leave for covered employers. Federal law also allows four additional weeks of unpaid leave if a doctor confirms that a mother is temporarily disabled in accordance with the Fair Employment and Housing Act. The former Marketing Director claims that her job was terminated on the exact day her FMLA expired and in California, employees are still covered under CFRA. If you have experienced pregnancy discrimination in the workplace or if you were fired while you were on FMLA leave, please get in touch with one of the experienced California employment law attorneys at Blumenthal Nordrehaug Bhowmik De Blouw LLP. Is Uber Refusing to Honor the Arbitration Clause in its Terms in Conditions? More than 12,000 Uber drivers filed a California lawsuit claiming that Uber purposefully delayed arbitration requests. Uber drivers are considered contractors by the company. The drivers claiming that Uber is delaying arbitration requests are making an assortment of complaints, including: minimum wage violations, failure to pay overtime, etc. At the rate the complaints are being processed by the company, it would be a decade before all the complaints were heard. Uber, like thousands of other companies, requires their drivers to sign an arbitration agreement that limits dispute resolution to company-direct handling instead of going through the court system. Uber’s 21-page terms and conditions does include an option to opt-out of the clause, but it has to be done within 30 days of signing the original agreement and it must be done in writing. Drivers dealing with the potentially decades long delay are getting fed up with decreasing pay and their questionable status as independent contractors (instead of employees who enjoy more protections through employment law). 12,501 of Uber’s drivers have filed a California lawsuit including allegations that Uber ignored requests for arbitration. According to the suit, there have been 300 pages of partners requesting arbitration and only 47 have been appointed arbiters. Of those appointed arbiters, only six have seen the arbitration process move forward. Legal counsel involved in the case suggest that this is a typical trend amongst corporations in this situation and has been for decades in the U.S. They insert this type of clause in a mandatory arbitration agreement specifically to block class action lawsuits. When asked about the case, Uber declines to comment. 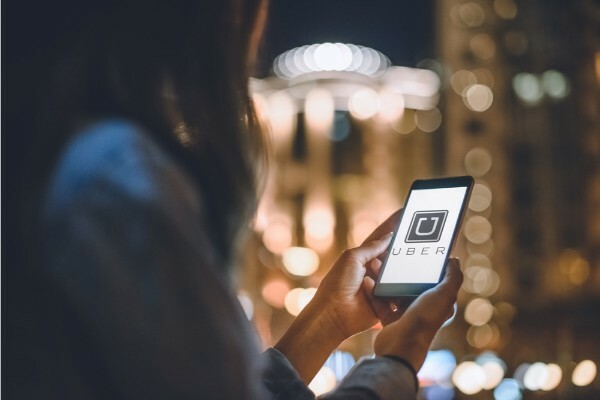 Originally, the case was brought as a class action lawsuit in multiple states addressing driver status as independent contractors vs. employees. Complaints (in numerous states) range from failure to pay overtime, to minimum wage violations, to failure to provide sick leave, etc., which would all be required if the drivers were classified as employees. If you need to discuss how to qualify for a California class action lawsuit or if you need to file a lawsuit due to overtime violations or minimum wage violations, please get in touch with one of the experienced California employment law attorneys at Blumenthal Nordrehaug Bhowmik De Blouw LLP. The Los Angeles-based company, MedMen, recently completed an acquisition in Emeryville, California and now has one of only two adult-use licenses in the Emeryville area. They are planning further expansion in 2019. The Emeryville dispensary plans to open in East Bay in 2019. In addition to eight other dispensary listings in Southern California, MedMen operates in: Arizona, Nevada (3 locations), and New York (4 locations). The company also holds licenses that give them the power to operate up to 70 facilities in 12 different states. They aggressively support progressive marijuana laws and lead the industry in terms of assets and operations in the U.S. The company is also facing their fair share of trouble; listed as the defendant in a class action suit filed on behalf of two former employees of the West Hollywood dispensary located at 8208 Santa Monica Boulevard. The class action lawsuit could potentially include about 100 employees (current and former). The West Hollywood location holds a medical cannabis license has been granted a temporary license to sell recreational marijuana pending the allocation of permanent recreational cannabis licenses that are scheduled for December 18th, 2018. The lawsuit alleges that the business violated a number of employment laws regarding employee work hours, wages and required breaks. For instance, the company required that their workers work overtime hours without paying them overtime wages. The company also allegedly failed to give breaks required by California state employment law. Workers also allege that the company failed to provide accurate payroll records. The lawsuit holds the potential for fines/payouts to employees totaling $50 for their first pay period during which they were underpaid and $100 for each additional pay period during which they were underpaid. MedMen has faced similar claims of employment law violations in the past. In fact, California MedMen employees have also filed claims that the company made paycheck deductions for tips paid by credit/debit cards. In some cases, the practice even resulted in negative paychecks. If you are not being paid overtime wages or if you need to discuss California wage and hour law with an experienced California employment law attorney, please get in touch with us at Blumenthal Nordrehaug Bhowmik De Blouw LLP.